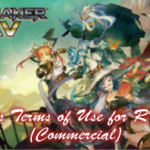 The RMMV Plugins section has been updated. MADO Window Builder is a solid RPG Maker MV tool to allow create and use customize window graphics in your games. However, these window graphics are not applied to the Choice and Shop windows (something I overlooked), so this plugin fixes this issue. The plugin must be installed after the original KADAKAWA AltWindowFrame plugin. Otherwise, it won’t work and will revert to the default windowskin. This issue was pointed out in the comments on the original MADO Window Builder Tool MV – Overview & Tutorial YouTube video. Thanks for that! The Social Media Buttons Plugin, which enables you to display social media buttons (Twitter, Facebook, Google+, YouTube, Pinterest, and your project Website) on the Title Screen, is back online. Each of the social media buttons opens the corresponding website in a new window, either an in-game window or browser tab depending on the settings. Note: Google+ is being retired in March/April 2019, so the next update will remove the Google+ options completely. We decided to consolidate all of our resources and payment sources on our Gnome Treasure, which includes obtaining Plugin Commercial Use Licenses. The price structure has been changed slightly and prices have been also been fixed to offset PayPal’s fees. But we’re committed to keeping our prices low enough so that everyone can afford them while retaining a small profit. Additional donations, while not mandatory, are greatly appreciated and will contribute towards site maintenance and future prize funds. 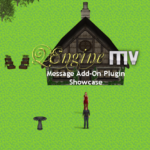 While the QEngine MV Plugin and its add-ons are still actively being worked on and, although it is complete, I have no intentions of releasing it yet. Many of these add-ons will be tweaked over the course of next month so that they are as functionable and as compatible with the QEngine as possible. ← Been Quiet! What’s Been Going On?